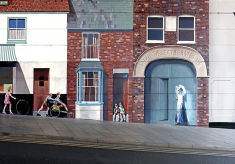 Here we have more details about the scenes in the two murals. 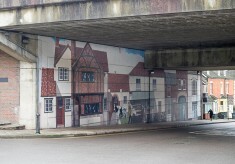 The Milford Street Bridge Mural, on the south side of the bridge, shows scene from life in the area before the Ring Road was built. 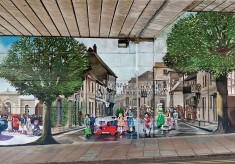 The Jubilee Mural opposite shows how Salisbury celebrated royal events.